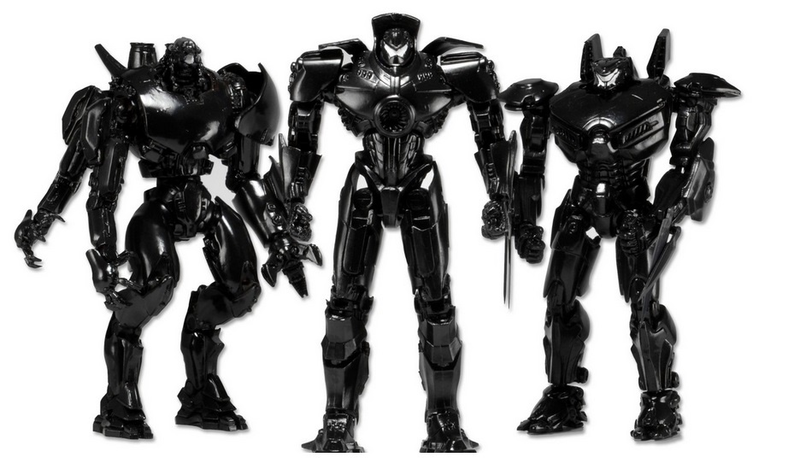 NECA Pacific Rim SDCC End Titles Exclusive Jaeger 3-Pack Figure Set contains black-colored, high-gloss-finish action figures of Gipsy Danger, Crimson Typhoon, and Striker Eureka, packaged and positioned in the same formation seen in the credits. 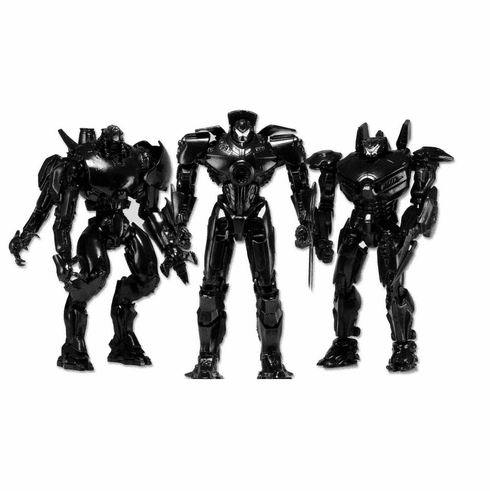 The 7" Jaegers also have glow-in-the-dark paint effects on their visors. Limited to 5,000 pieces.